For many, September means back to school and all that comes with it. But even if you don’t have kids, September is a month of getting back into a routine. Gone are laid-back, carefree summer days, and here is the season of tightly packed schedules and life on the go. But hectic days are no match for a considered mudroom, and with these five mudroom essentials, you’ll be back in the rhythm of things in no time. Bright lighting: The right lighting can make or break any space, and the mudroom is certainly no exception. This is a space for tying shoes, bundling up, and last-minute hair fixes, so make sure there is ample illumination. Begin with bright overhead lighting, like a large chandelier. Next, add task lighting, like sconces or strategically placed goosenecks to light the way for smaller jobs. 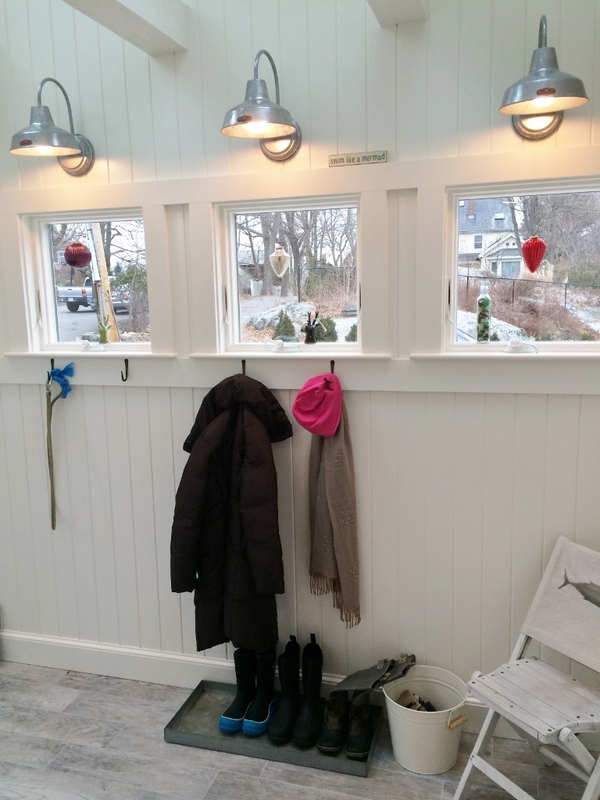 Finally, add a table lamp for cozy ambiance—who says a mudroom has to be strictly utilitarian? Ample storage: Storage is key to a highly functional mudroom. If you have the space, consider lockers or custom shelving and cubbies. 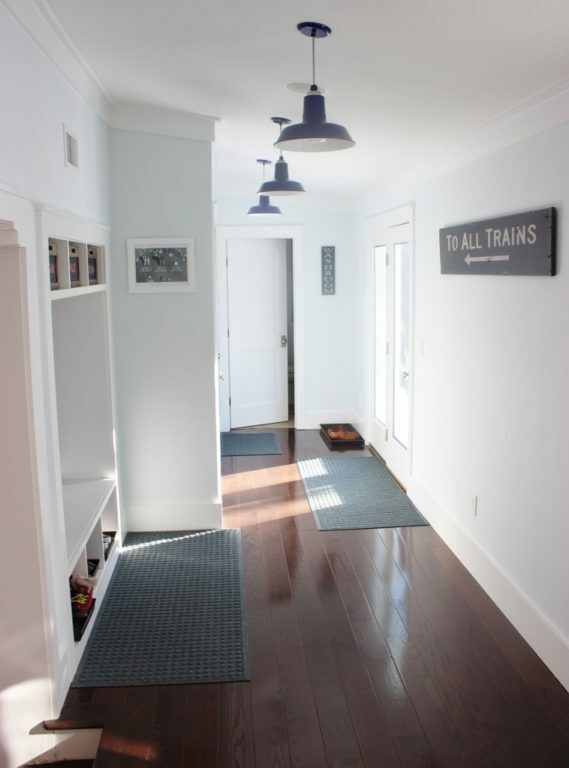 For smaller mudrooms, a hall tree or slim shelving will certainly suffice. In either case, be sure to think vertically as well as horizontally. Hooks, pegs, and coat trees take up little space while providing plenty of room to hang coats, scarves, and hats. Finish the room off with a boot tray and umbrella stand to keep messes and water in their places. Somewhere to sit: It’s pretty hard to get shoes and boots on and off while standing, so make sure there’s at least one place to sit in your mudroom. Whether it’s a bench, a chair, or a stool, you’ll be grateful for the place to rest your weary bones, even if it’s just for a moment before you’re on to the next to-do in your calendar. 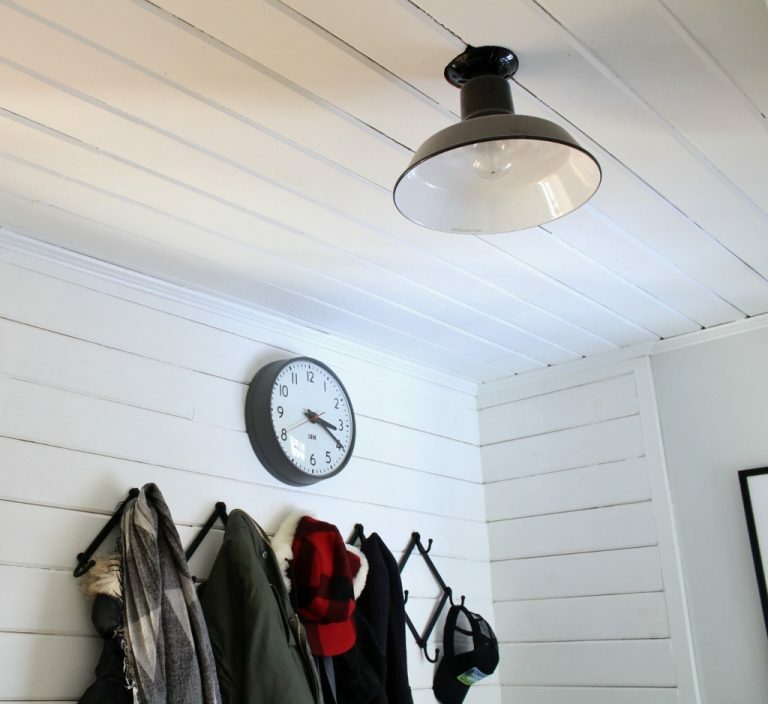 A large clock: The mudroom is your last stop before rushing out the door. Eliminate the need to fumble around for your phone (which is, inevitably, always at the very bottom of your bag) as you rush to get ready by hanging a wall clock front and center. Not only is this accessory functional, but it adds a punch of personality, too. 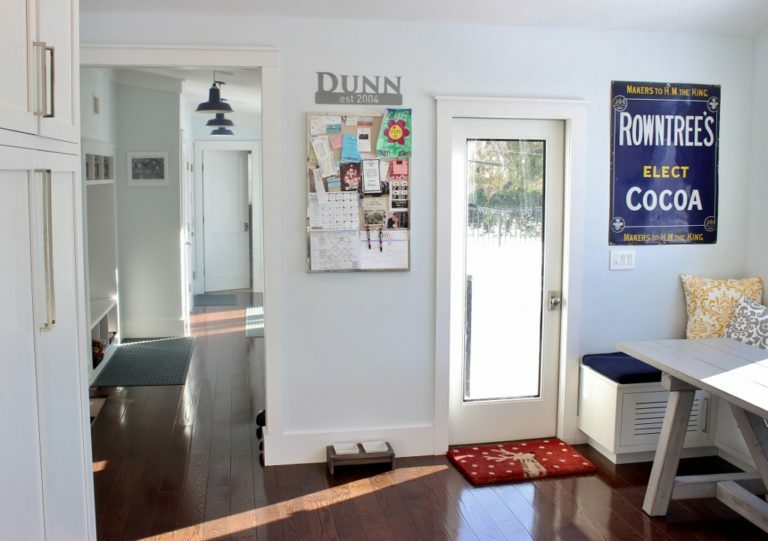 Durable decor: A highly functional space, the mudroom is made to take a beating—and boy, does it. But that doesn’t mean it can’t be stylish, too. A little decor can have a big impact in the mudroom, but be sure that whatever you decorate with is durable and not too precious. Quirky hardware, inexpensive art, metal accents, and porcelain signs are all great options for adding style that can stand up to a little tough love.